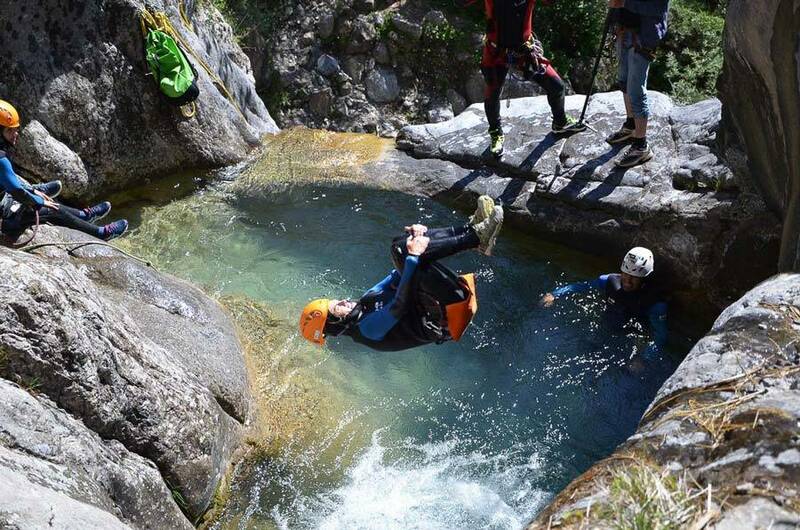 What better way to spend a hot summer's day, than by jumping into deep natural pools of cool clear alpine water, abseiling under the veil of a powerful waterfall or sliding down a natural rock tobogan!!! 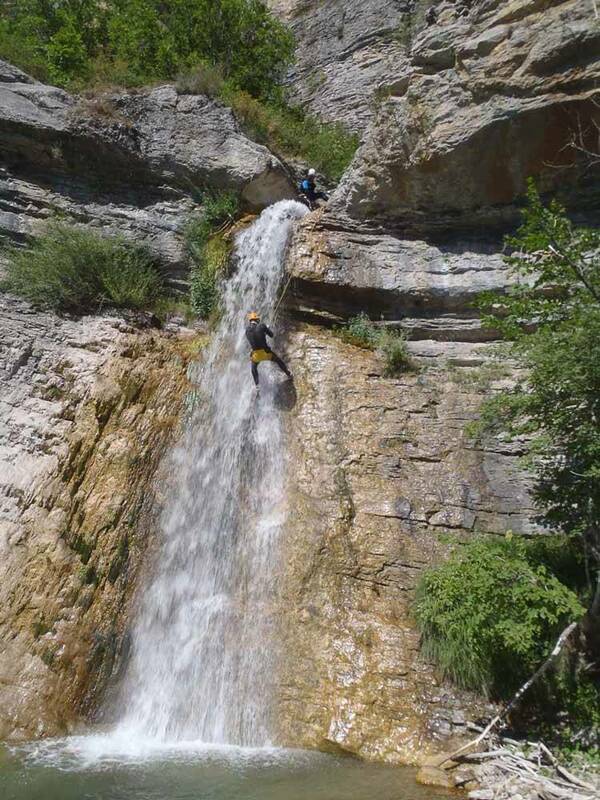 A canyon is a natural gorge, that has been gauged out of the mountain side by flowing water. 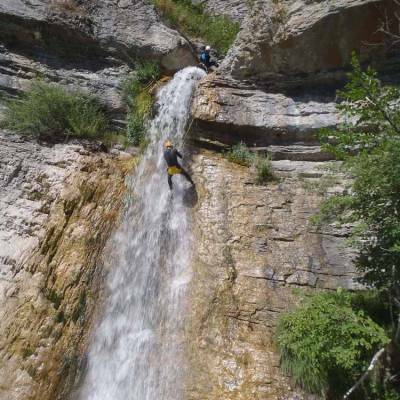 They can be deep with steep cliff walls on each side and generally consist of a series of waterfalls that flow into large pools. 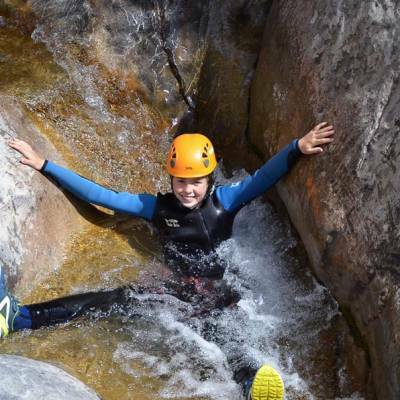 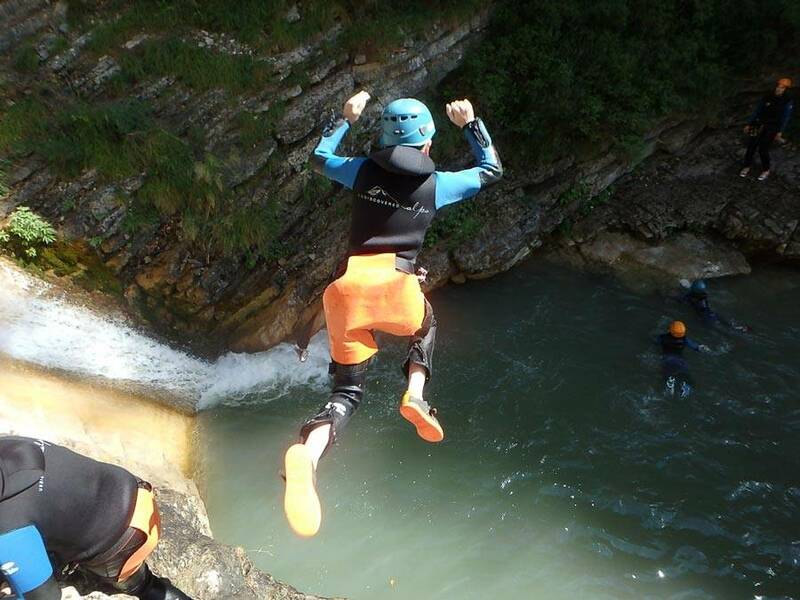 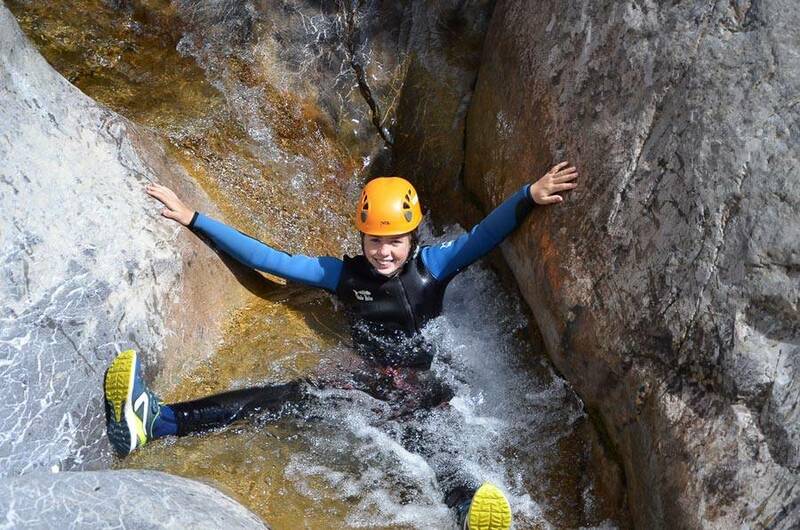 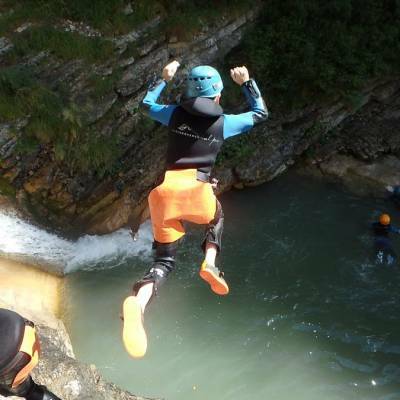 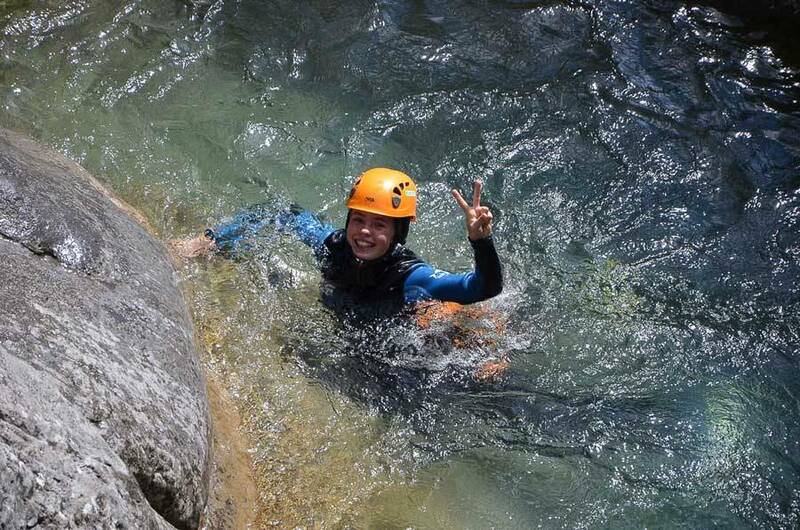 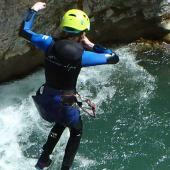 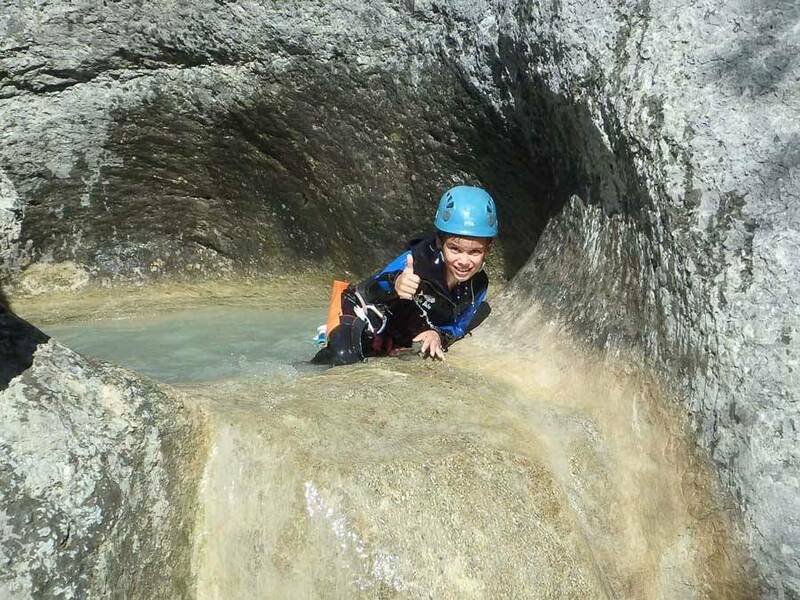 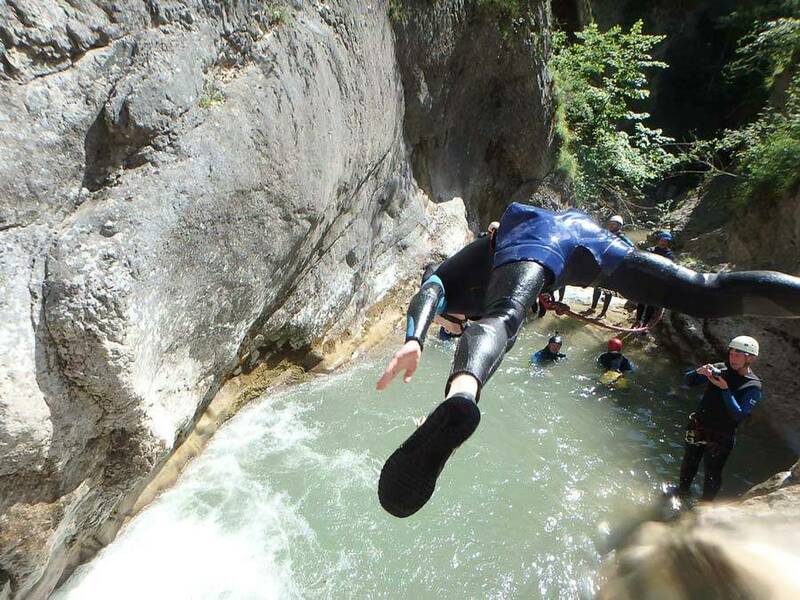 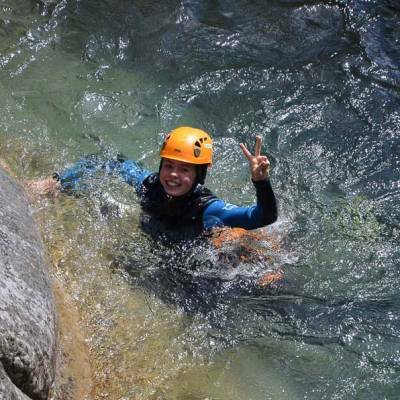 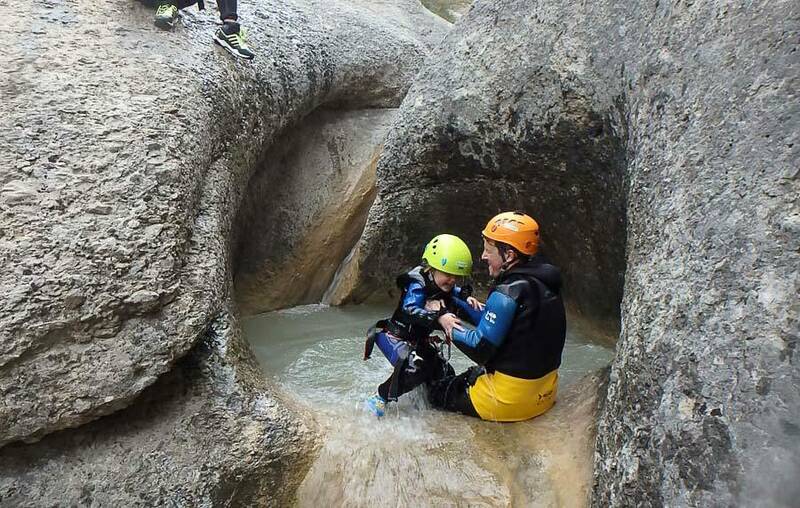 Canyoning is an exhilarating journey negotiating the best and most fun route down the canyon! 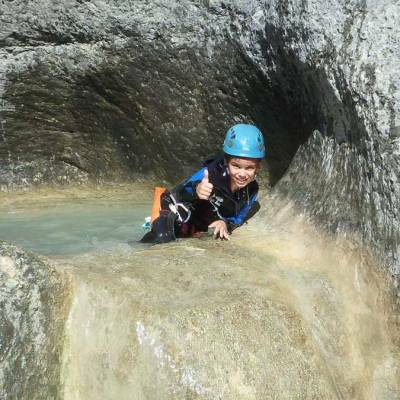 Some waterfalls carve natural tobogans into the rock that you can just slide down, some steeper waterfalls require abseiling down and some have beautiful deep pools at the bottom that you can just jump into and splash about in! 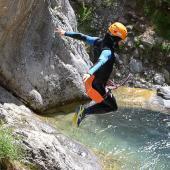 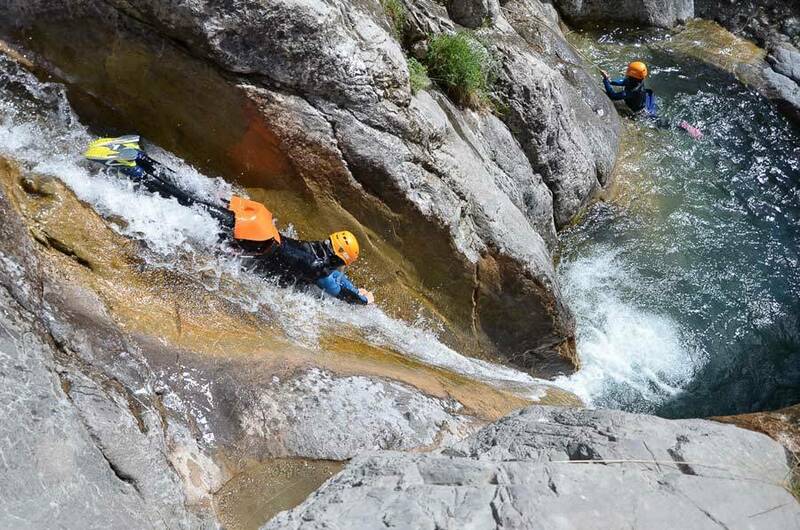 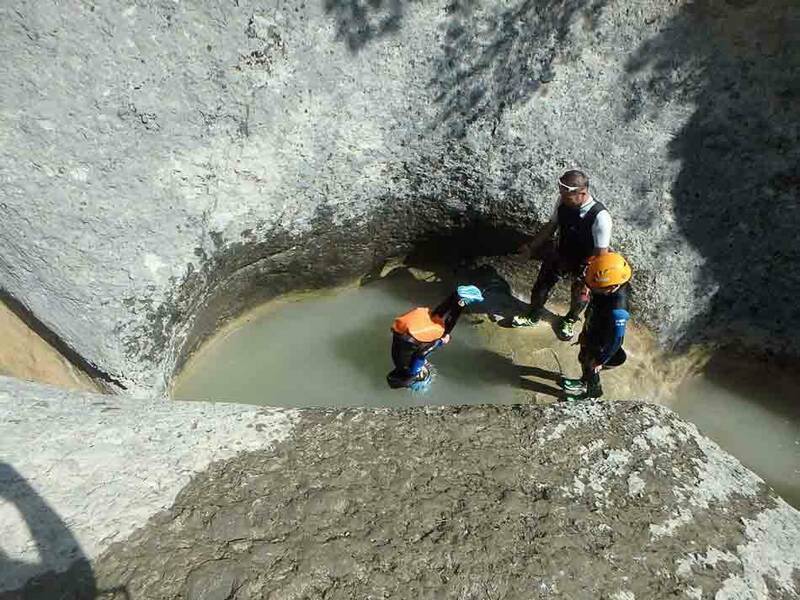 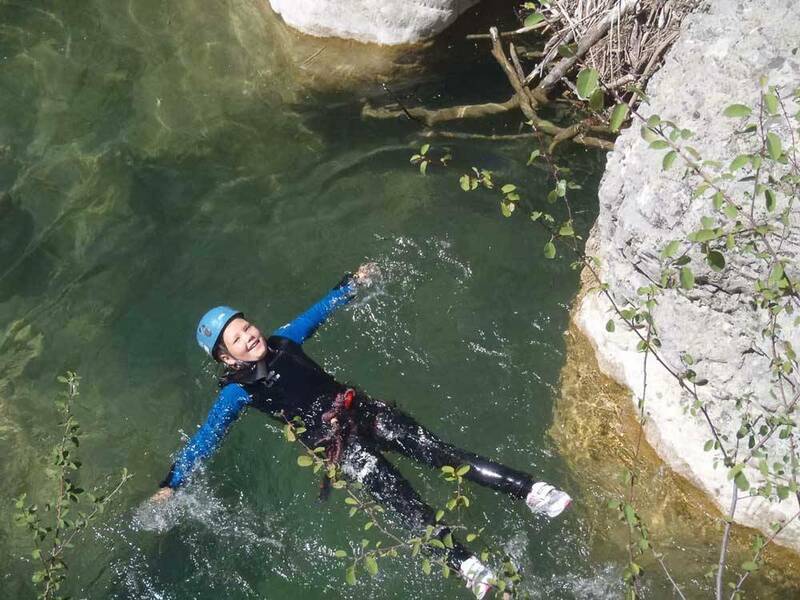 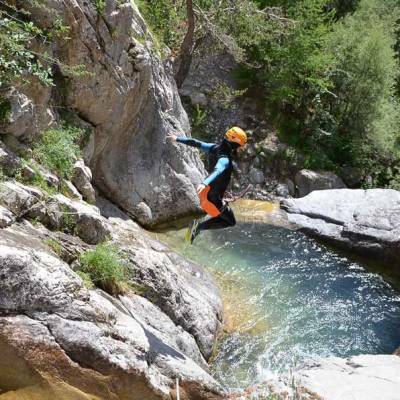 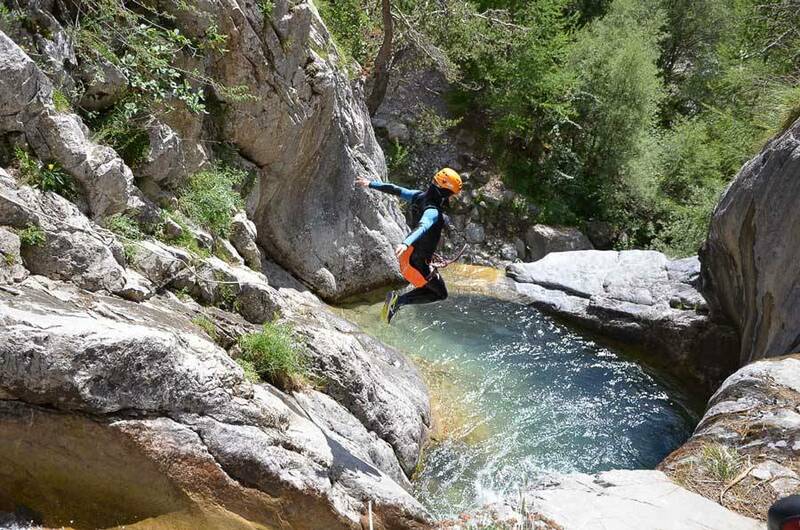 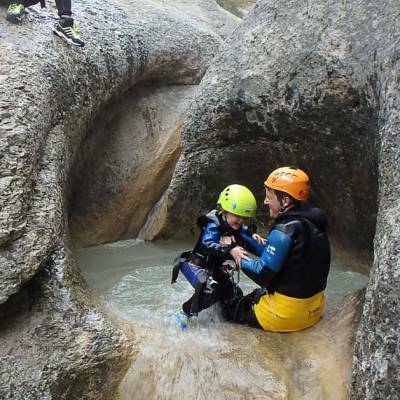 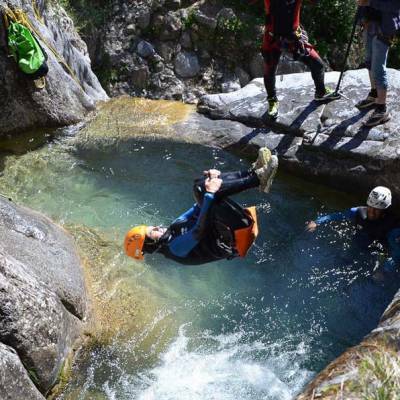 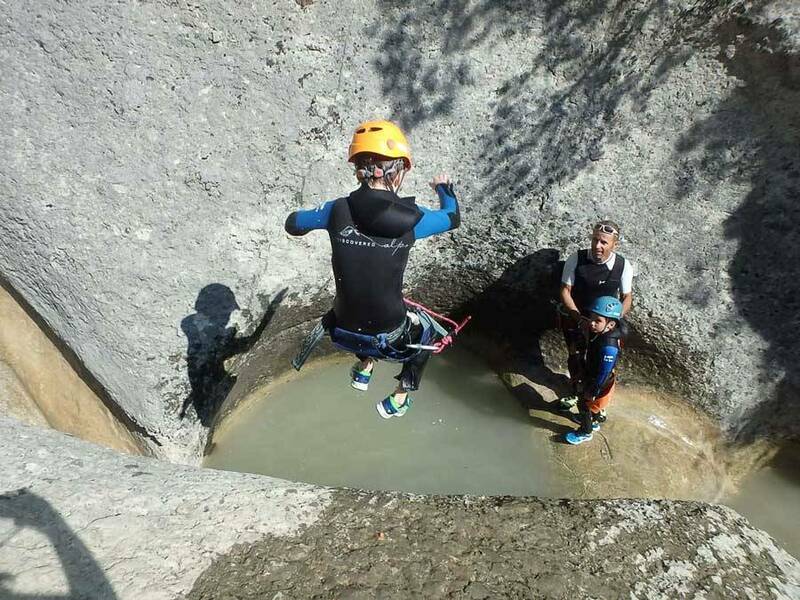 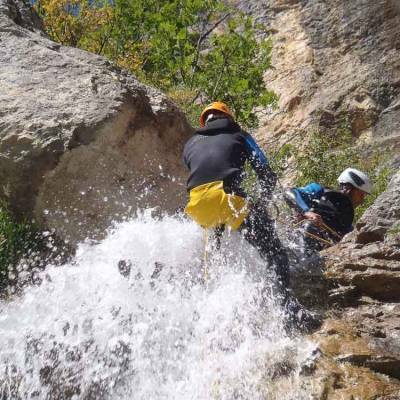 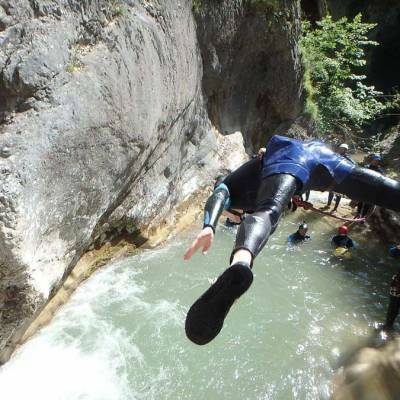 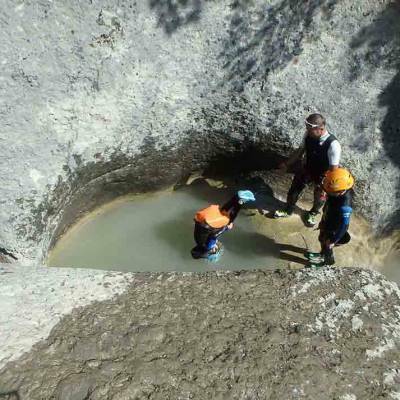 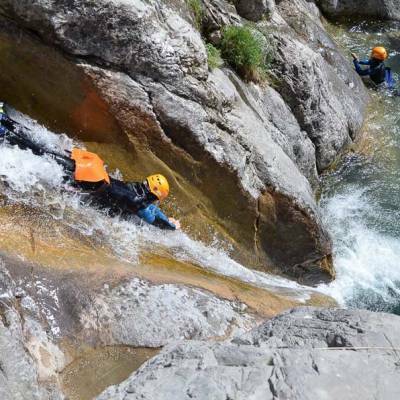 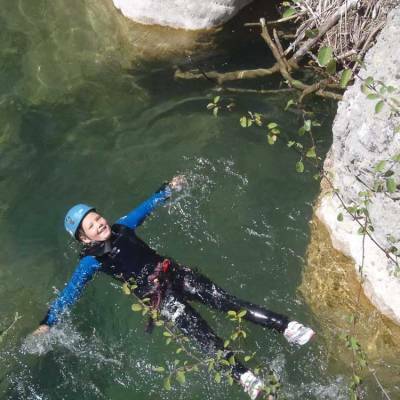 It is always advisable to go canyoning with a guide as canyons are very susceptible to local conditions which a local guide will know and take into consideration. 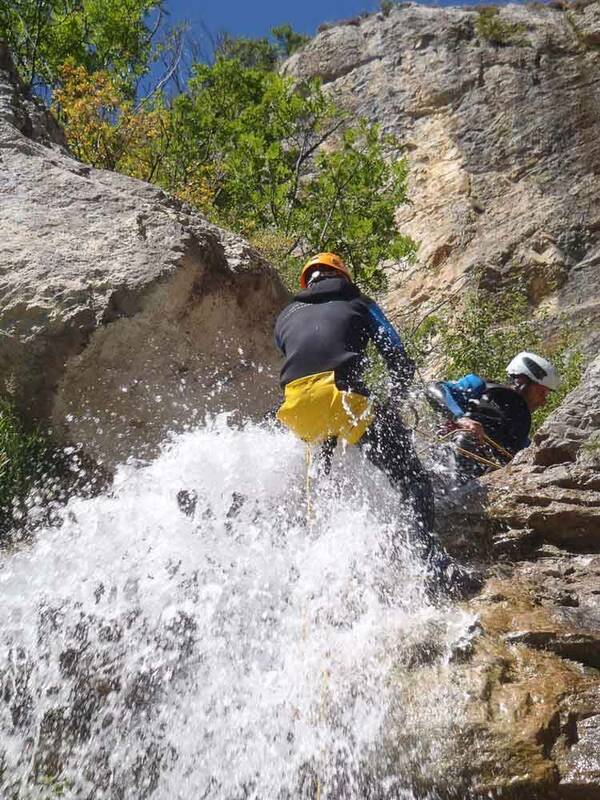 You also need specialist equipment, which they will provide. 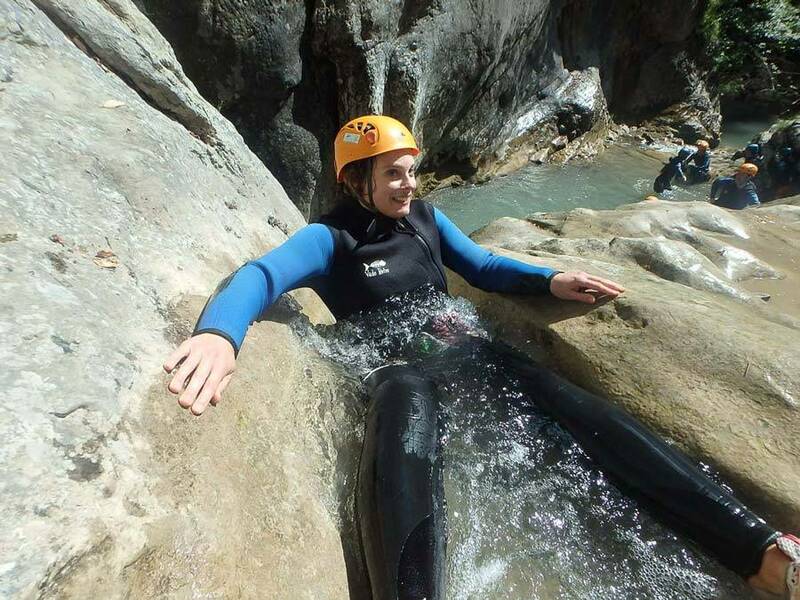 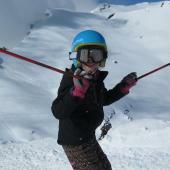 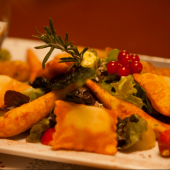 You can do it as part of an activity holiday using our activity points system or we can arrange a private guide for your group.